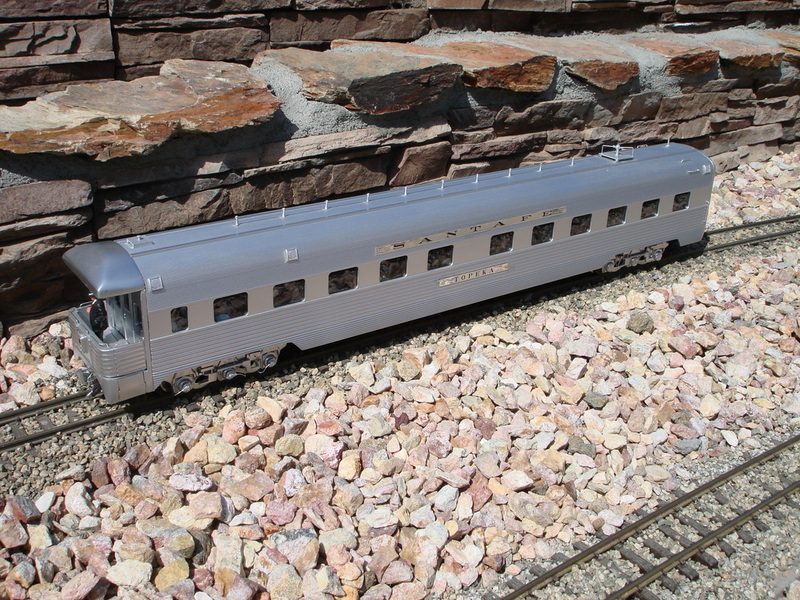 The Santa Fe Railway had beautiful passenger equipment and an even better fleet of business cars. 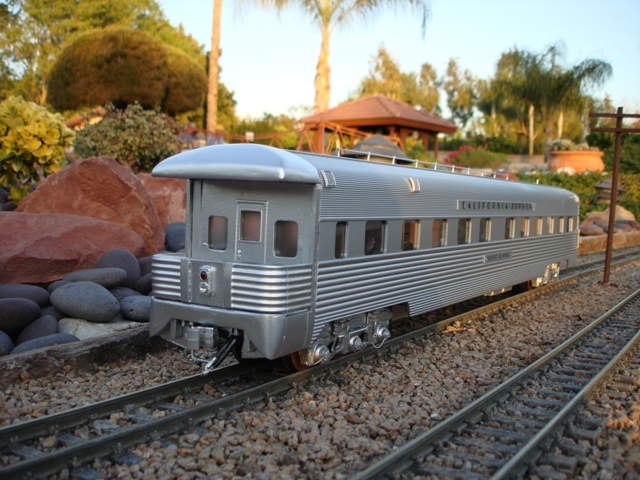 I decided to build the Atchison, Topeka, and Santa Fe business cars using USA Trains sleepers as the base for the new models. 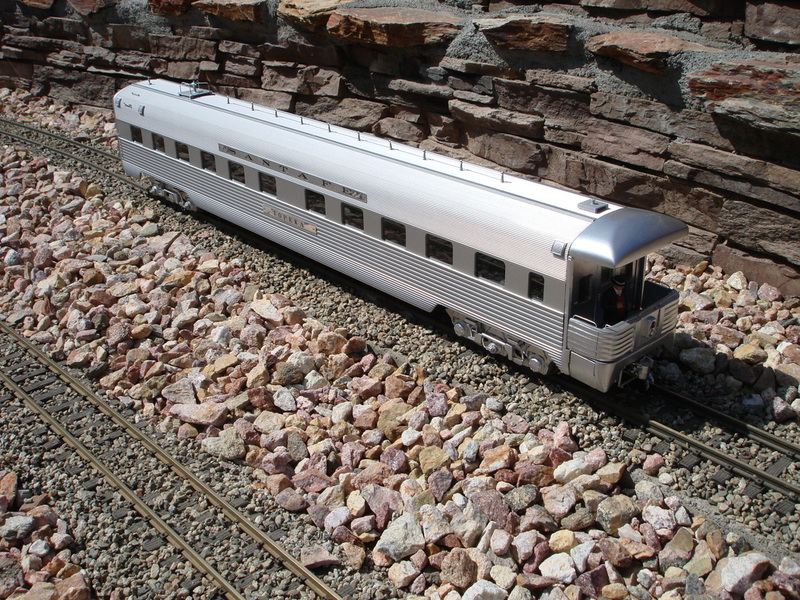 To make the business cars, I took USA Trains G scale California Zephyr sleepers and cut off the vestibule end from each car. 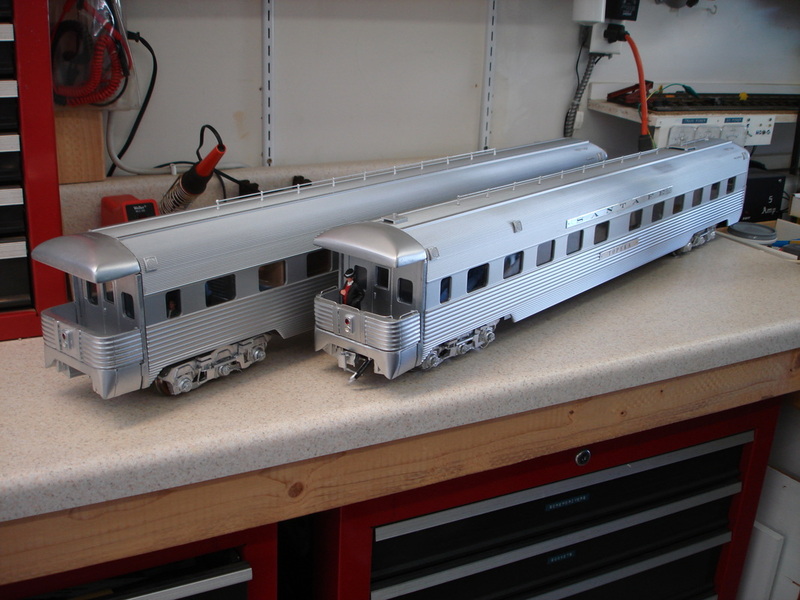 I formed the roof and rear deck from balsa wood and also modified some of the USA Trains parts to form the deck. Then I made a mold of the pieces and started to cast the parts in resin. The rear deck was the biggest challenge due to the corrugation, but I was able to match it closely. The red strobe on the rear flashes when the train is in motion. The roof antennas were kit bashed from miscellaneous Ozark Miniatures parts. 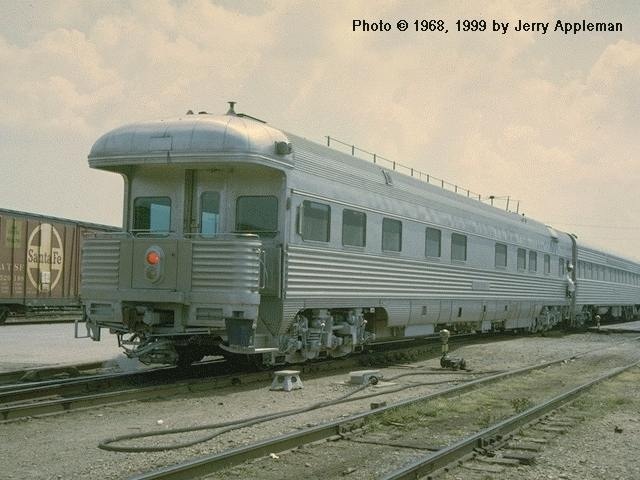 The Atchison was built by Pullman and rode on 2 axle trucks. The USAT truck was a perfect match, so that car was finished more easily. 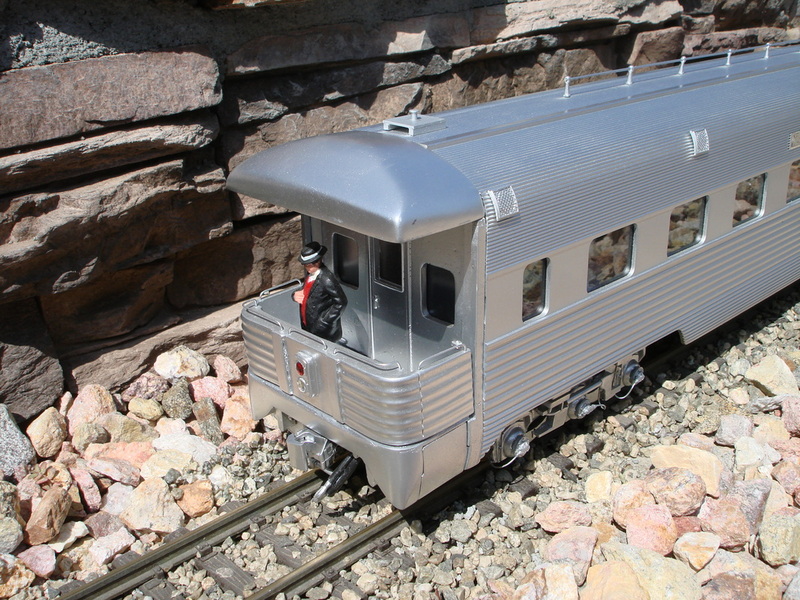 The Topeka and Santa Fe were built by Budd and rode on 3 axle trucks. This was a challenge! I took Aristo Crafts commonwealth tender trucks and heavily modified them. The resin parts work out great and I was able to make a set of trucks that is almost a perfect match. 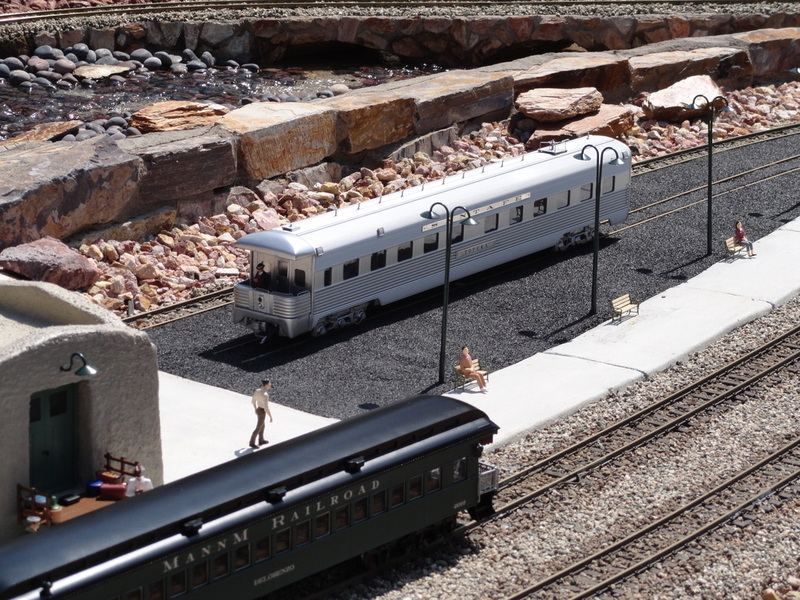 All three cars are complete and on the rails today.